Big Banks Method Is Confirmed Scam! Find Out Why! Today in this article let’s concern about the newborn automated trading solution, Big Banks Method. I just felt weird calling it as an automated trading software. Yes, you got it right; this is another scam system that claims to make you richer without any trading experiences. Going to the Big Banks Method official page, I have noticed many suspicious attempts to cut off your money. If you are just thinking to invest your money in Big Banks Method, then let me warn you. You will be the fresh victim of this Big Banks Method scam group. In this Big Banks Method review, I will reveal how cheap and scammy Big Banks Method is. As a trader, you should know how important is to read review of any trading program after all you are going to invest your money there. Frequently we have seen scammers releasing scam trading software to steal your money. And this makes more important to review your automated trading software before you trade. So, let me elaborate more about Big Banks Method here. 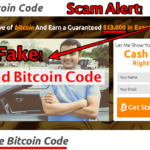 It seems like scammers trying to conquer binary trading platform and wants to dominate with all false promises. Big Banks Method also comes under the suspicious program list in my review. But, I must say they have arrived with more polish tricks to attract newcomers and wanted to seduce them with their system. But the real thing is that they are nothing to do with your binary options trading; all they meant is how to steal your money. And this is why they exist as an automated trading software. But this time Aaron Devis has targeted the financial market, he is the CEO of this automated software, but he urged that this program is a unique trading solution for the financial market to make you financially fulfill. 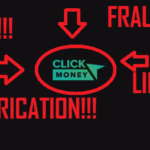 Remember that this not the program for binary options trading but who cares when the main factor is it is a scam. After visiting their official website, you can notice the site is full of junk or all I can say it is a suspicious trading solution for you. If you visit on their Big Banks Method site, you will see video testimonials by Aaron Davis. He is the narrator and claim as the CEO of the Big Banks Method. Both of side of the testimonials video there are some logos, which is a trick to convince their innocent clients. Well, there are many facts that led me to think Big Banks Method as a scam software. This made me sick how shameful is going on in the financial market for cheating honest traders. Instead of making money most of the newcomers saw the bad experience with those scammers and lost a lot of hard earned money. In my Big Banks Method review, I have found a handful proof to call it as a scam genuinely. So, below are the scam facts that I have found in my review and let’s reveal scam facts of Big Banks Method. Non-Existing CEO: You should be searching Mr. Aaron Davis in your dream if you were looking for him on the internet. Hey, Mr. Davis, have you made yourself private to the web. Because we are not getting any information about you, as a billionaire who is making a lot of money supposed to be in Google search result. But there is nothing about you; maybe he is making himself private to the internet which is not possible. This hints me that the self-claim CEO of the Big Banks Method system is a fake person or paid actor or scammer. Poor Website: Have you visited the official site of Big Banks Method software? If “not yet,” then you better not visit this suspicious website. The site is full of junk and trash. You will say,” Mr. Aaron Davis how insane is this?” They have added a lot of information which is like never ending page (landing page). Well, all of those useless and doesn’t make any sense to believe. But for a new trader, his could a taught to verify it as a scam. 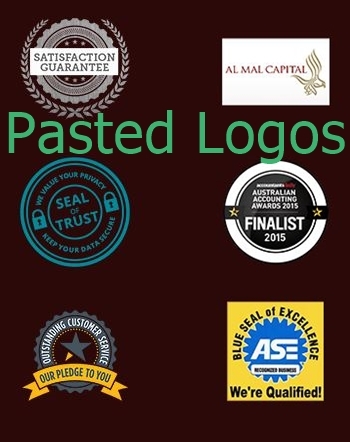 Bogusly Pasted Logos: You are supposed to be impressed by Big Banks Method seeing the logos that are pasted on the landing page randomly, this is what they want. I must say, well try Mr. Davis but he must know all the pasted logos are looking cheap so far. Frankly, to say, those logos are pasted from random locations to convince you that they are safe for you. Good Reviews But Fake: The team of Big Banks Method team has flooded their landing page with good reviews by Facebook users. You made me wow! But when I did search with the same name of those users I have failed to find them. How Mr. Davis? How?? What should I call to this!? No surprise, those are the fake reviews added by the scammer team of this trading program. Again, but scammers should know I am tired of seeing those tricks. Now Look At This – How Cheap!! : Here is another you should keep eyes on it. On the landing page, you will need a message screenshot that message from a stranger. He urges that he worked as a waiter in a very luxurious restaurant and now he a frequent customer of that restaurant. And he is proud of that. Isn’t it a cheap way to attract newcomers? Even a newbie trader can say this is a scam or nothing. So, it was all about Big Banks Method review. 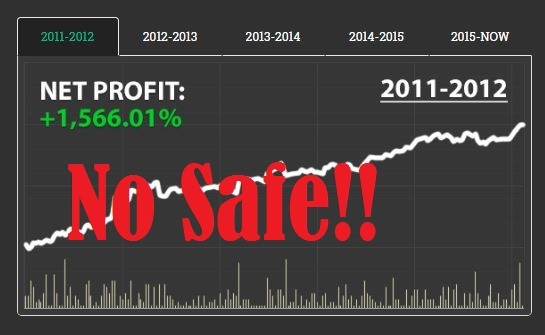 How can I say that it is a safe trading system for your trade while I have found a handful evidence to call it as a scam? David’s scam system wants to steal your money on your back so that, you have to stay far from this system. With junk and trash information this site led me to say Big Banks Method is a scam. Above I have showed you fraud facts so please stay out of it. Big Banks Method is nothing to get but you will be one of those victims of their scam plan. Multiplexer System Scam Review – Avoid This System Completely! 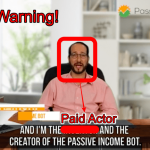 Passive Income Bot Scam Exposed! Check Sofy’s Review! 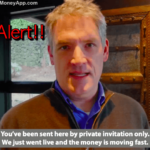 Push Money App Review – Old Scam is Live Again! Stay Away! 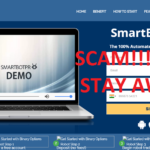 SmartBotPro Review: Latest Scam System!